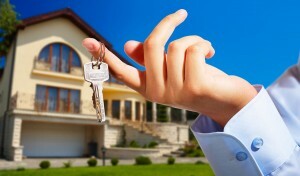 Protective Insurance Agencies Renters Insurance - Should you buy or rent a home? As American as apple pie, many American’s dream of owning their own home. We all want a plot of land to call our own, and the upsides of home ownership are numerous. However, is owning a home the best choice for everyone? Not necessarily. Owning a home can sometimes be a solid investment and home ownership offers peace of mind like no other. On the other hand, renting comes with a ton of benefits. One of the perks of renting in an apartment complex or other planned community is the amenities that are available. Many communities offer swimming pools, gyms, walking trails, dog parks, access to a clubhouse and many other upscale options. It seems like when you own a home, the maintenance related expenses never stop. $100 to fix that running toilet; $100 a month for a lawn care service; another $100 for that broken appliance. It’s as if your wallet has an un-ending supply of $100 bills. When renting, you don’t have to worry about these unexpected costs, so it becomes much easier to stick to a budget. Home ownership means real estate taxes. Technically renters are paying their share of real estate taxes as well, but they are wrapped into your rent so you don’t have an extra bill at the end of each year you need to budget for. When you own a home, you have to insure the entire home including the building. However, when renting, you only need to insure YOUR contents. Therefore, renters insurance is a lot less than homeowners insurance. Insurance companies have a far greater loss to consider with homeowners insurance vs. renters. Thankfully, both policies typically include liability coverage to protect you against other unknowns. Over time, real estate has usually been considered a good investment. However, property values can sometimes collapse quickly which can affect homeowners in a significant way. You could pay $250,000 for a house today that might be worth $150,000 in a year. When you rent, this doesn’t affect you. Unfortunately, none of us have a crystal ball so we can’t even begin to predict the risk. When you rent, the only thing tying you down is a short term lease. You are free to move as you please and do not have to wait for your home to sell and potentially take the losses that might come with it. The bottom line is that home ownership is a personal choice. You need to make the decision to rent or buy based on your circumstances. Don’t get caught up in the American dream and think you HAVE to own a house. Evaluate your life and make the decision accordingly.